SMFID™ is an enterprise management and monitoring station for cross-vendor multi-function imaging device fleets. SMFID™ contains approximately 100 stock reports and each screen is printable and exportable to MS Word and MS Excel. There are many aspects to successfully managing large IT Eco Systems. Some of the less considered are evergreen inventory and the configuration history of the inventoried assets. Symphion delivers accurate evergreen inventory along with historical configurations of each of the individual assets within the scope of the service. The inventory and historical configuration of each asset is available in our Master Configuration Item Report from SMFID™. The report lists every item within and attached to the inventoried asset (except for the color of the machine). Each asset type has a unique configuration. For instance, with a print asset a major concern may be onboard supply levels and print options such as a stapler or finisher. There are countless configurations reported and available regarding each asset. 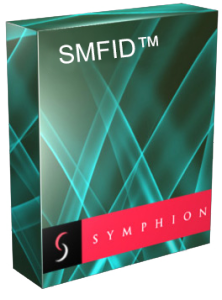 Symphion concierge teams use SMFID™ to deliver our Print and Print Fleet Cyber Security as a Service™ solutions. SMFID™ is deployed on and utilizes Microsoft technologies.